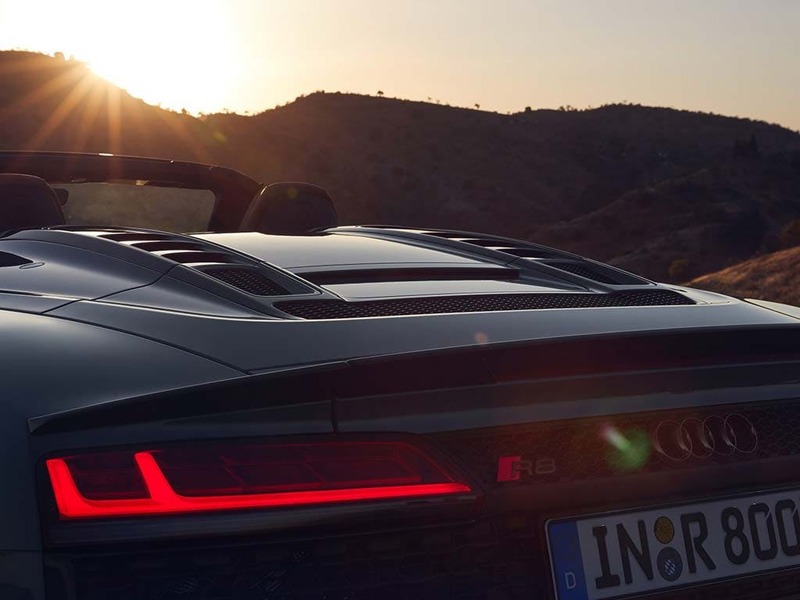 Lighter, flatter and more muscular in appearance than its predecessor, the all-new Audi R8 Spyder V10 is sublime. Its sharper, faster and more refined than the previous model. 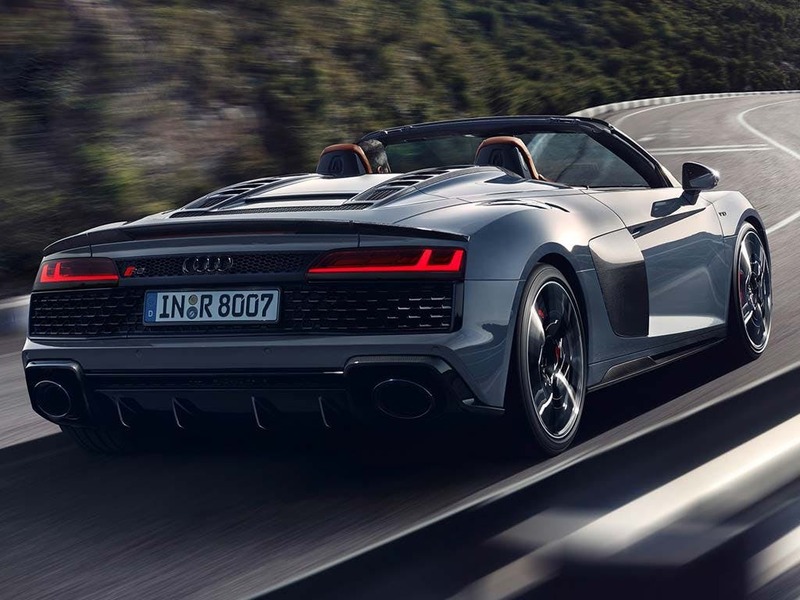 With 533bhp packed under the bonnet, the new Audi R8 Spyder V10 is better in every conceivable way. Blending a thrilling performance and stunning good looks with an iconic supercar. 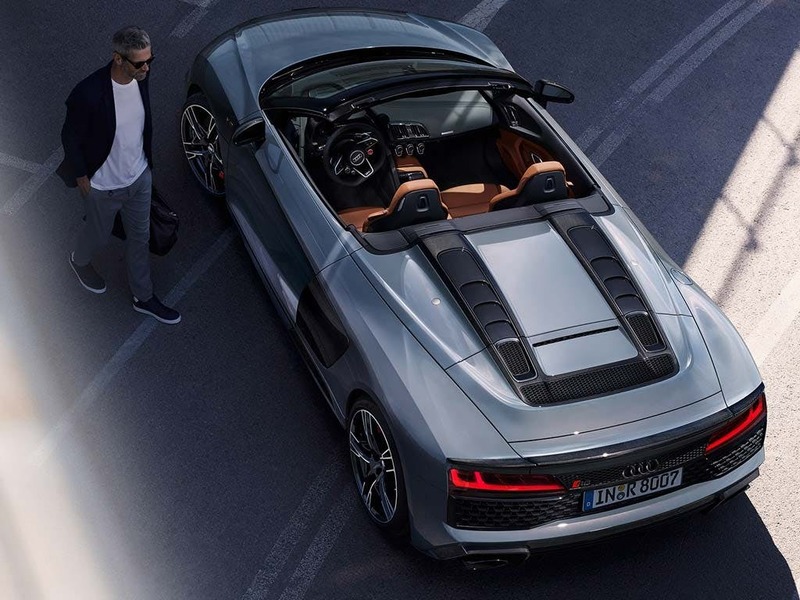 Receive the ultimate open-top driving experience with the new Audi R8 Spyder V10. Every detail matters, view the Audi R8 Spyder technical specification. Download the latest R8 Spyder brochure. Inside the new Audi R8 Spyder V10, every last inch is designed for your pure driving pleasure. Only the very best materials are used in the cabin of the R8 Spyder. Made in performance leather, the R8 3-spoke multi-functional steering wheel ensures only the best grip in every turn. 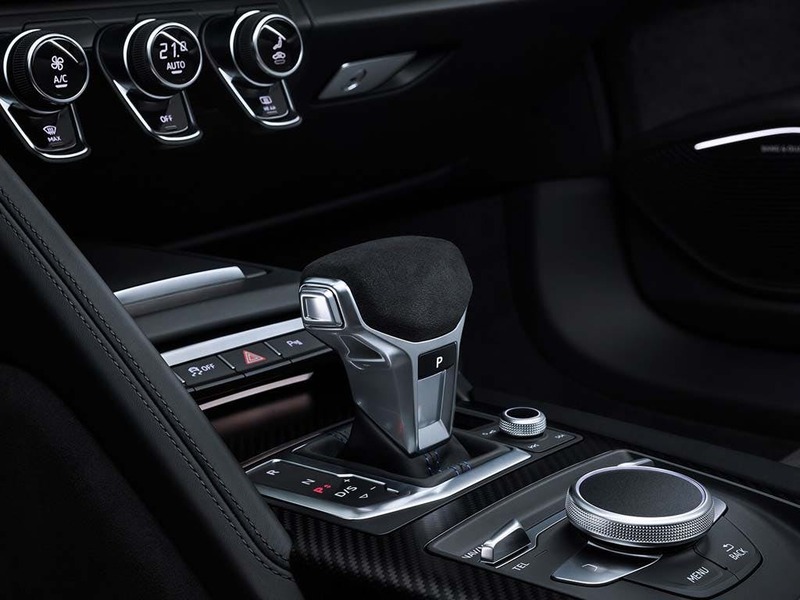 Stylish inlays, door sill trims and other subtle features adorn the cabin of the new Audi R8 Spyder V10. This Audi radiates athleticism and class for the ultimate sports car appeal. From the initial welding of the bodyshell to the completion of assembly, small highly qualified teams give the R8 its unique shape and form. 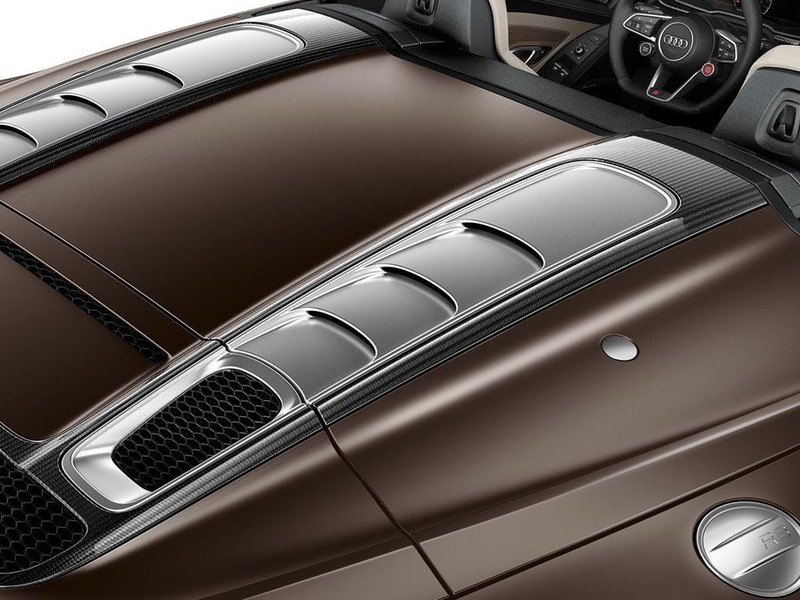 This precise attention to detail includes the Spyder’s roof. Available in three colours, it harmonises the dynamic lines of the car, tapering into two air vent fins at the rear. Fully automated, the lightweight hood opens in 20 seconds at speeds of up to 31mph. Add some style - supercar style - into your life with the new Audi R8 Spyder V10. 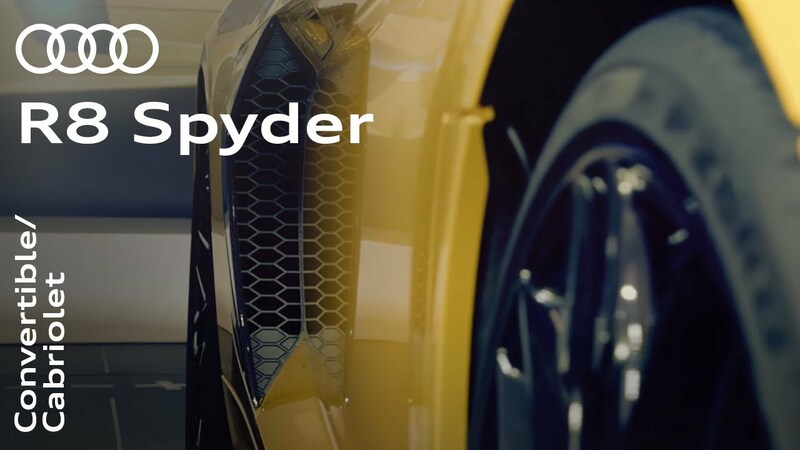 With the high-revving, mid-mounted V10 engine sitting directly behind the driver, the new Spyder is the supercar that combines breathtaking performance with open-top thrills. 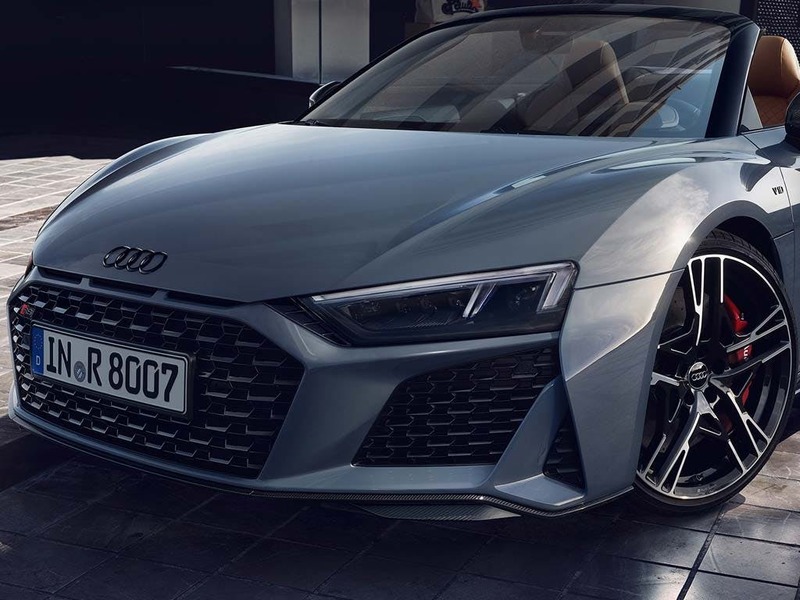 It starts with the new 5.2-litre 533bhp V10 FSI engine that accelerates the R8 from 0-62mph in just 3.6 seconds while giving an intense audible performance – especially when the roof’s down. The ultra-responsive quattro all-wheel drive system transmits up to 100% of the V10’s torque to all four wheels, for improved traction, grip and ground-covering ability. An abundance of cutting-edge technology awaits inside the new Audi R8 Spyder V10. 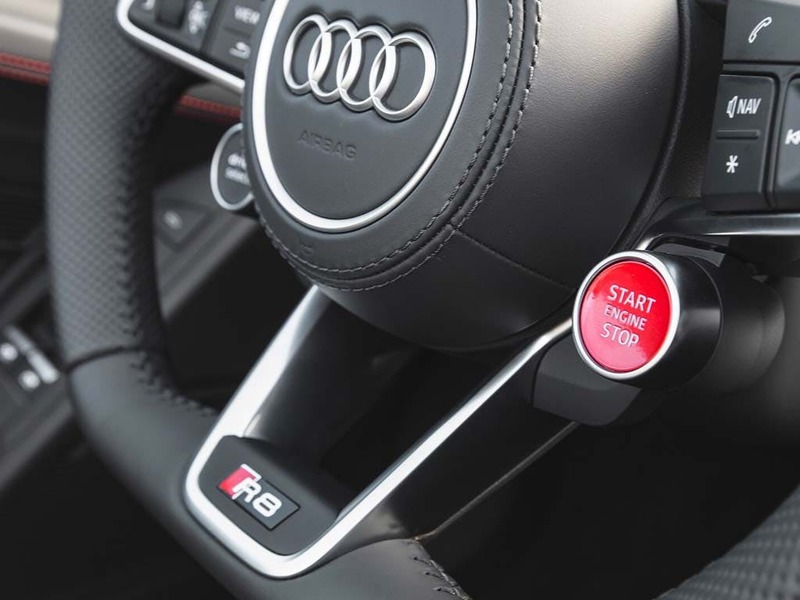 Audi’s innovative technology further enhances the thrill of driving the R8 Spyder. As you grip the flat-bottomed leather steering wheel, infotainment controls are placed at your fingertips. Operate the Concert radio with CD player and Audi Music Interface without taking your eyes off the road. 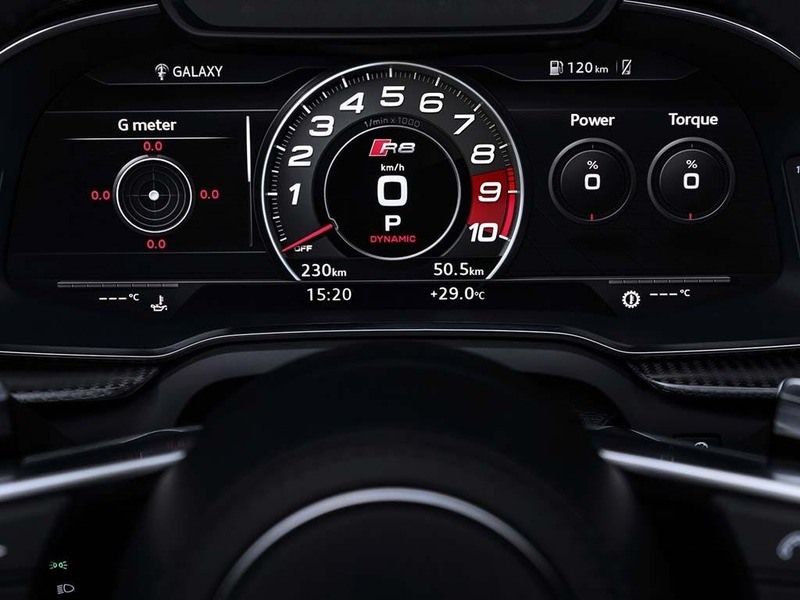 With a range of devices such as the new Audi Virtual Cockpit, MMI navigation plus, Audi sound system and more, you can keep entertained whilst enjoying the incredible thrill of the new Audi R8 Spyder V10. 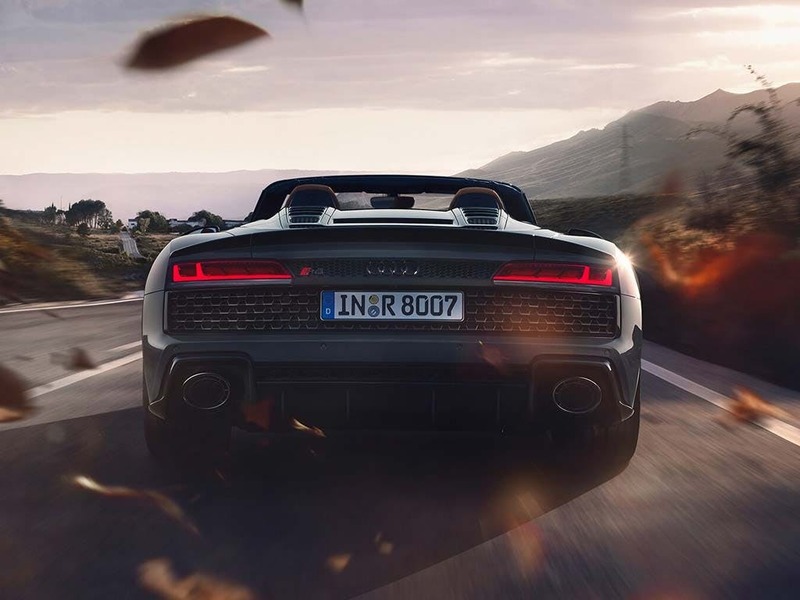 Experience the new Audi R8 Spyder V10 in all its glory. Visit your nearest Audi dealership in Colchester, Chelmsford, Chingford, Finchley Road, Harold Wood, Hatfield, Stansted, Southend, Whetstone and Watford for a test drive. of customers that bought an Audi R8 Spyder would recommend to their friends and family. 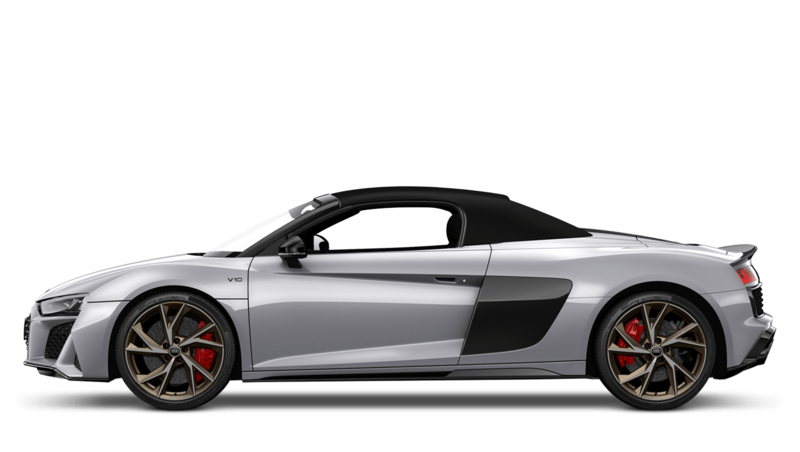 Explore the R8 Spyder specifications.